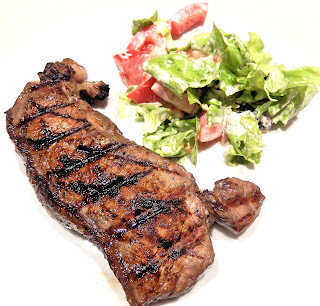 This recipe makes delicious perfectly seasoned top loin steaks. 1. Season the steaks with some salt and pepper. 2. Mix the garlic and onion powder with paprika, cayenne pepper, turmeric and coriander in a small bowl then massage them into the steaks gently. 3. Preheat a grill or a grilling pan then grill in it the steaks for 8 to 10 min on each side or until you are satisfied. 4. Serve your steak warm and enjoy.